Our range of vertical masts provide maximum safety and efficiency to perform everyday tasks at height. They are highly versatile and designed for both indoor and outdoor use including maintenance and warehousing applications. The Star range combines productivity, agility, comfort and easy maintenance. 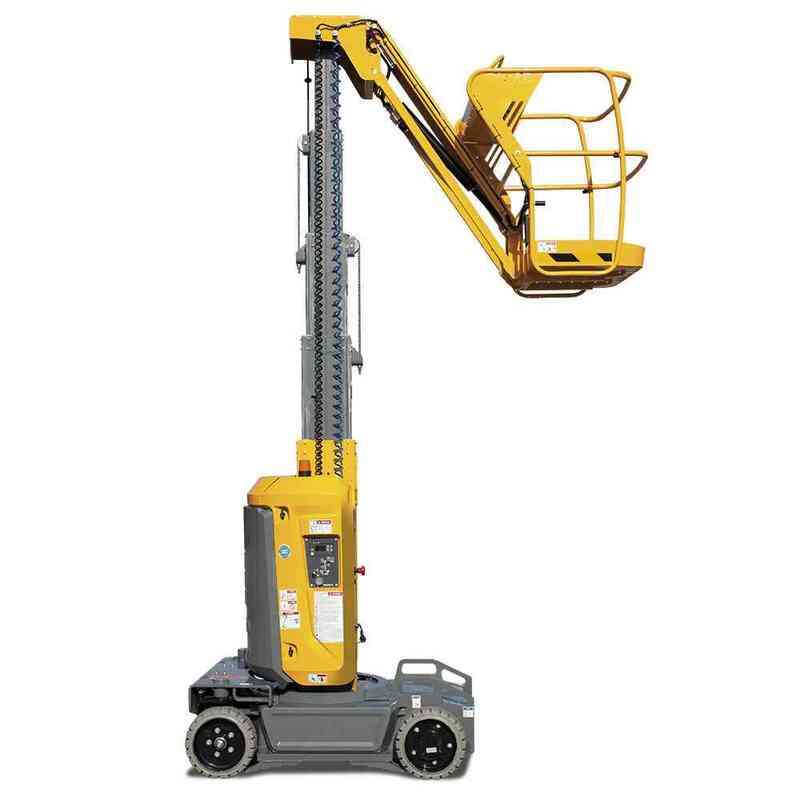 With working heights from 6 to 10 metres, there’s a vertical mast to suit any application. 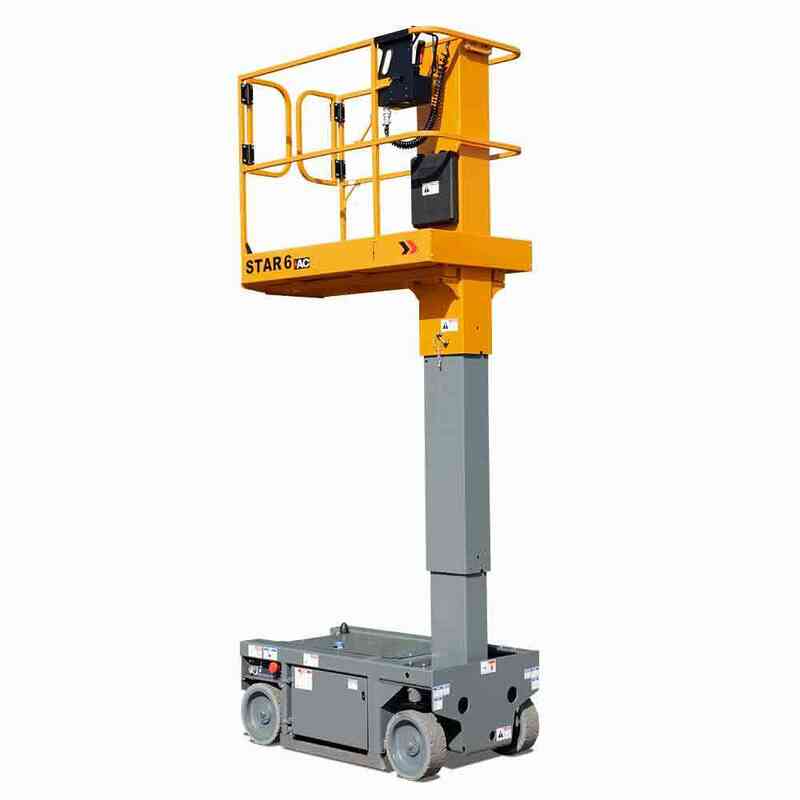 The range includes standard masts for general working at height tasks, masts with jibs for horizontal reach, and picking models for warehousing operations. Asynchronous AC motors successfully deliver precise movements and smooth control with high torque. This makes them ideal to access those hard to reach areas. Intuitive joystick and fingertip controls for operating and driving provide remarkable accuracy and comfort. These robust motors do not require ongoing maintenance as there are no carbon brushes to be replaced. The Star vertical mast also includes Haulotte’s Activ’Screen on-board diagnostic tool. Real time information is presented to the operator including machine status, alerts and information to help facilitate repair and maintenance.